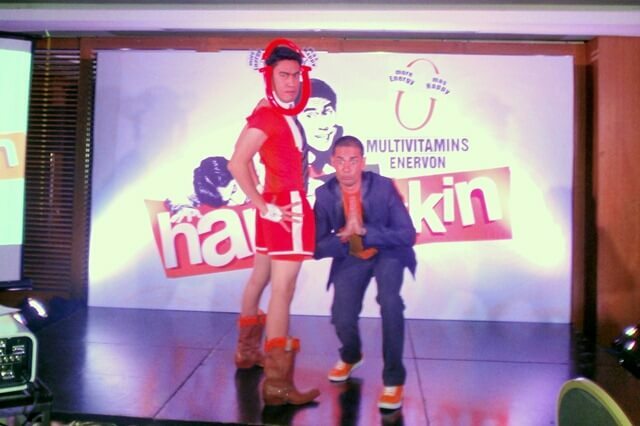 I was sitting at the press conference of Enervon with Ramon Bautista and Sam YG and I couldnâ€™t be entertained enough!Â Ramon Bautista is one of the ambassadors of Enervon and I think that he fits into the role perfectly for Enervonâ€™s anti – â€œHapontukinâ€ campaign!Â I couldnâ€™t think of anyone who could do a more better job than him. Maybe Shivaker is a nice contender to the role?Â Nah, I donâ€™t think so.Â What do you think? Teehee! 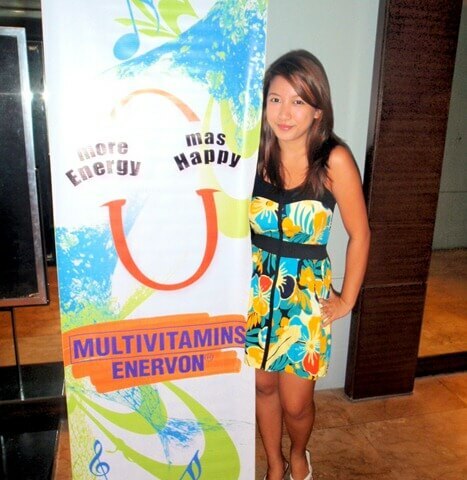 Enervon is actually not only a vitamin brand for kids but also for adults!Â It would actually help the battle against hapontukin since it has special combination of vitamins called Steadi-Energy Complex that helps provide consumers with lasting energy throughout the day. I couldnâ€™t help but remember all of my hapontukin moments!Â I guess hapontukin happens even to the best of us especially if we donâ€™t eat right, or we ate too much of something, we lack sleep and lack the nutrients our body needs.Â Now that Iâ€™m blogging full time and I host a TV show on the side, the more I realized that I need steady energy.Â I live a very physical life now and I get invited to events, seminars and press conferences from morning â€˜till night. One way of beating sleepiness in the afternoon is to do some whacky exercises.Â When I say whacky, I mean belly-hurting funnyâ€¦ like you would totally look ridiculous if you follow the exercise but hey, those are the kinds of exercises that will really wake you up! This is one of my favorite hapontukin excersise by the HWAT team.Â Check it out guys, laugh tripâ€¦ 😀 try doing it in your office too!Â Youâ€™d definitely wake up! You will have a chance to win awesome prizes by joining the Anti-Hapontukin Online contest. For qualified videos, the Hapontukin Administrator will then upload the video to Hapontukinâ€™s Facebook Fan page as an official entry for the contest.Â Get your friends to like your video on Facebook.Â If you have the most likes for a video uploaded in that week, you get to win a cool camera phone!Â You would also get a chance to win an Apple iPhone through a random Raffle amongst all video entries at the end of the promo period. Even if you didnâ€™t upload the video, you can still win prizes!Â You just need to participate by â€œlikingâ€ your friendsâ€™ video on the Hapontukin Facebook fan page.Â You will get a chance to win a camera phone weekly and in the grand draw.Â Throughout June to July, there will be 1 draw per week. So squeeze your creative juices guys.Â Think funny.Â Think whacky.Â Think ridiculous! You may visit the Hapontukin official website to view contest mechanics and guidelines. **This is an advertorial for Enervonâ€™s Anti-Hapontukin campaign. LOL, masubukan nga ito sa office. Cool. 🙂 Nothing beats Ramon lol.